By Matt Reimann. Sep 12, 2017. 9:00 AM. Broadway has always welcomed the country’s best playwrights. Everyone from Arthur Miller to Tennessee Williams to Lillian Hellman to August Wilson to Eugene O’Neill has been supported and sustained by the theatrical capital of America. Yet what is also interesting is Broadway’s tendency to adapt and stage something that started on the page. There have been failures (like the recent American Psycho musical) and smash successes (Ron Chernow’s Alexander Hamilton). It has also provided many prose writers the chance to work in the dramatic form. Recent years have brought plenty of good book adaptations to Broadway, in both play and musical formats, with the recent additions of Wolf Hall and Matilda to a tradition filled with recurring classics, like the musicals Oliver! and Les Miserables. Below, we catalog some of the many ways Broadway has brought to life the work of authors who started their creation on the page. Long before Wicked became a staple of Broadway, and even before the famous film adaptation, L. Frank Baum worked on a musical version of The Wizard of Oz. First playing in Chicago in 1902, the successful play enjoyed 293 shows on Broadway from 1903 to 1904. Baum was reputed to have loathed the production, and later clarified his feelings about the play. "I acknowledge that I was unwise enough to express myself as dissatisfied with the handling of my play on its first production,” he said, “few authors of successful books are ever fully satisfied with the dramatization of their work.” No matter what he felt, audiences were happy, and the success of the play led Baum to write a sequel to his book, titled the The Marvelous Land of Oz. 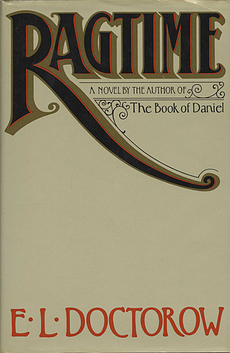 In 1941, Richard Wright joined another playwright in adapting his famous novel for the stage. It had impressive support behind it, counting as a producer Orson Welles. Wright took to the difficult work of cutting from his novel to fit into dramatic format. Critics noticed what the play lost going from page to stage, but held generally favorable views, heaping loads of praise on the actor who played Bigger Thomas and the emotional weight of the entire story. Thomas Wolfe had been dead for 20 years by the time the 1957 adaptation of his autobiographical novel opened on Broadway, so there was no opportunity for writerly disappointment. Playwright Ketti Frings received a Pulitzer Prize for her book, and the production held eminent talent in the form of Anthony Perkins and Hugh Griffith. A touring production was supposed to have had John Barrymore in the lead, but he developed a skin condition that prevented him from performing. A great historical novel, adapted not into a drama but a musical. E.L. Doctorow’s story of turn of the century America, filled with exuberant music, innovators, and racial strife, was adapted in 1996 and came to Broadway in 1998. Critics felt the original production had weaknesses of dialogue and plot, and it ultimately lost at the Tonys to the Broadway juggernaut The Lion King. I had the good fortune of reading the book in high school and seeing the short-lived 2010 production, which was a stirring revival, and I always love when regional and school theaters put on this great musical. This adaption of Alice Walker’s 1982 novel is relatively young, but has a history of two hugely successful Broadway runs, first from 2005 to 2008 (when it was nominated for 11 Tonys), and then from 2015 to early this year. The latter running was buoyed by production support from Oprah Winfrey, who starred in the novel's stellar cinematic adaptation. This entry belongs to the "to be continued" category. No, J.K. Rowling’s The Cursed Child, a story written with two other partners, has not come to Broadway yet, but it will in April 2018. The play has already enjoyed immense book sales (rare for a playbook) and made way for an unstoppable run on the London stage. It is hardly surprising that the defining book series of our time has extended its tentacles even farther, finding wild success in a totally different medium.